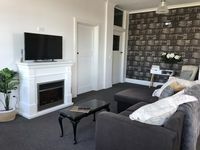 Properties in Abel Tasman National Park average 4.5 out of 5 stars. Property 4: Ligar Bay - Beachaven Cottages (front). Kayaks, WiFi, Virtually Beachfront. Property 9: 3 BEDROOM HOUSE IN PERFECT LOCATION! Property 12: Beau Vista Pohora - views to die for! Property 24: Quiet , Stylish 2 bedroom Apartment , situated in the heart of town. 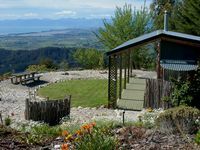 Property 46: Central Motueka Luxury Accommodation. Property 50: The lodge that isn't a lodge! The Laidback Lodge!